For over 25 years, C.C. & Company has specialized in counted cross stitch and custom picture framing. Located in Blue Springs, MO, we take pride in having the largest selection of patterns in the greater Kansas City area. Our experienced and knowledgeable staff is here to help and welcome you into the C.C. & Company family! At C.C. 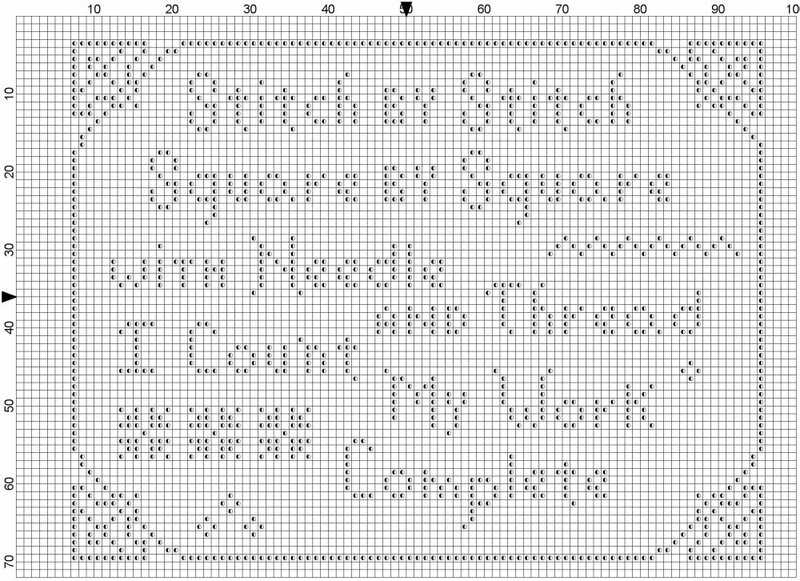 & Company, we focus on one thing: bringing crafters throughout the area the very best selection in cross stitch supplies and products. Our counted cross stitch fabric inventory in Jackson County, MO, offers over 225 different choices to fit your project needs. Since we are unable to keep all choices in our store, we encourage custom orders that will be shipped directly to your doorstep. 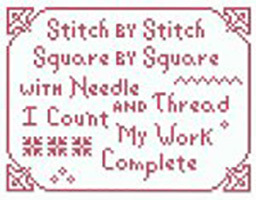 We also offer a free stitch-by-stitch design by Rosie and Me to master your cross stitch skills. Pick your favorite fabric and color of your choice and get stitching! 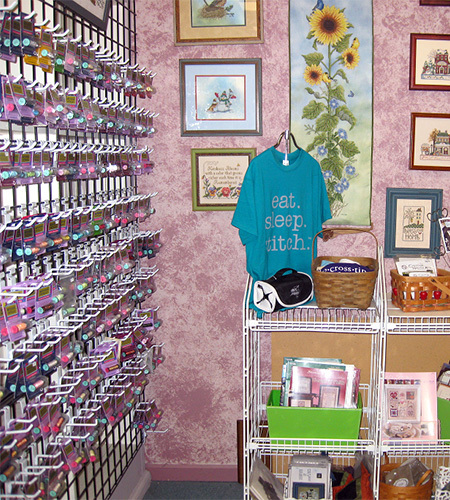 Our store brings you a full range of stitch supplies in Jackson County, MO, available for purchase in store or online. In-store, come to us for custom needlework framing services include cross stitch, needlepoint and embroidery. We offer a full section of floss, fibers and threads and can special order any we do not offer in store. Our partnership with Merchant Mall offers additional work from 300+ designers and more than 12,000 charts! Our store boasts more than 30 years’ experience that our competition simply cannot provide! We’re your experts when it comes to getting the right products. We have a large cross stitch inventory that includes just about any type of fabric you could want (more than 225 styles)! We offer custom needlework framing and can help you finish your project in a way that truly illustrates the time and effort you put into it! Can’t find what you’re looking for? We proudly offer custom orders and work hard to make sure our customers get what they’re looking for. As part of of our merchant mall partnership, we’re able to provide you access to an even wider range of products! C.C. and Company opened its doors in 1985 to serve the needlework community in the Greater Kansas City area. 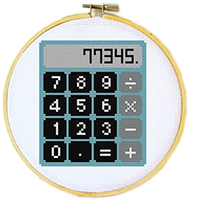 Our specialty is counted cross stitch needleart, related techniques and accessories including a wide selection of counted cross stitch patterns. We provide a full array of custom framing services. Our speciality is needlework framing where all materials used are conversation and our mounting technique is the lacing method which uses no staples or pins to rust and no sticky board. We invite you to experience counted cross stitch. We have a staff of experienced cross stitchers who can help you choose the best fabric, fibers and any assistance you may need to complete your project. We are happy to do special orders and will mail if you are not able to come into the shop. 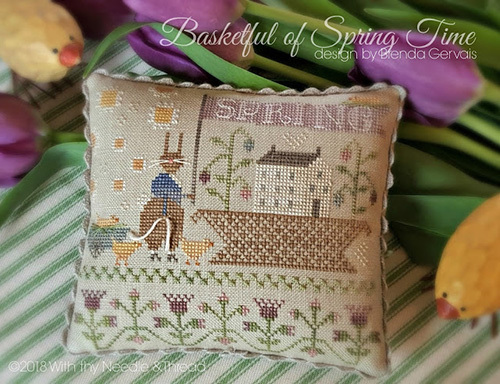 We all face everyday challenges, cross stitch helps you escape for a little while. Relaxing your mind, lifting your spirit and healing your soul.